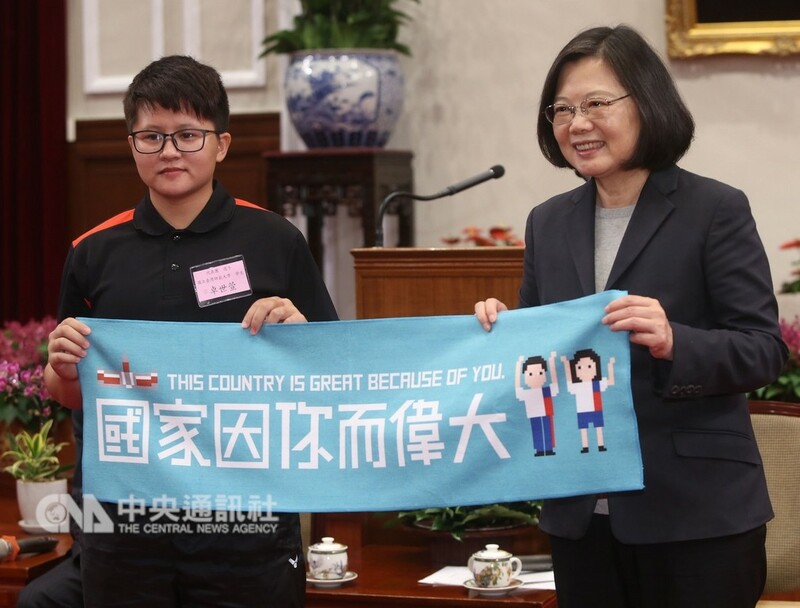 TAIPEI (Taiwan News) — In an interview at the Presidential Office Building today, Tsai Ing-wen said sporting events continue to remain one of the best ways for Taiwan to break through diplomatic difficulties. 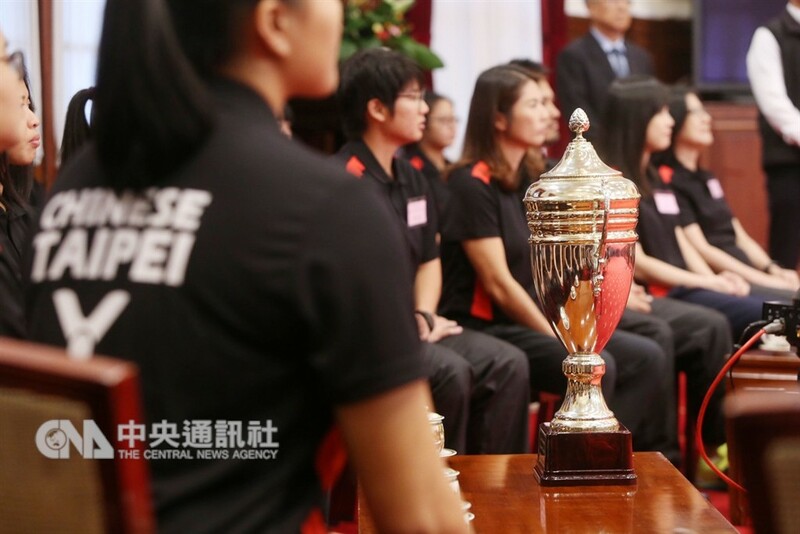 The President appeared at a reception today (Nov. 19) to honor Taiwan’s outdoor tug-of-war team on sweeping up nearly half of all competition medals at this year’s championship at Cape Town in September. 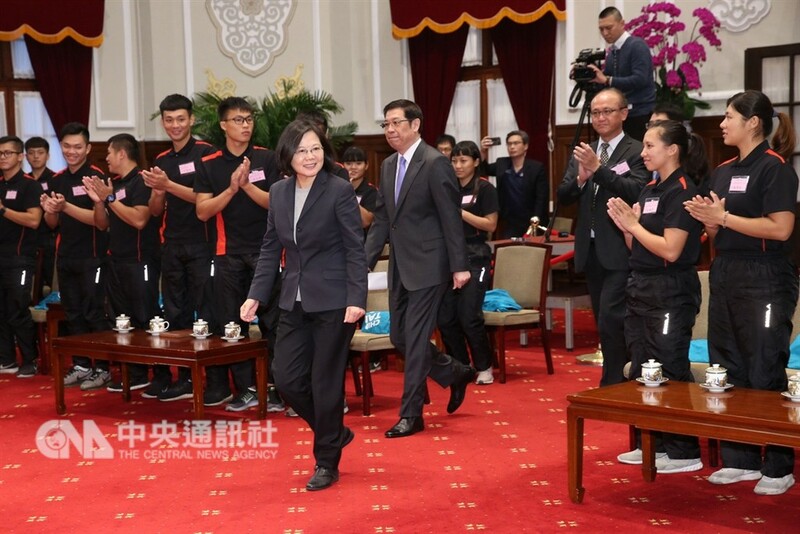 She said she hoped the outstanding performance displayed by the athletes will continue to let Taiwan shine through the haze of international pressure obscuring its name. 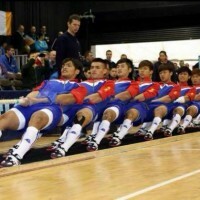 The team’s athletic prowess led them to win five gold, one silver, and a bronze medal in the competition hosted by South Africa. 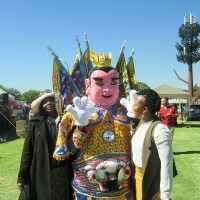 Taiwan has had outstanding success in a number of other sporting events this year, grabbing 18 medals at the 2018 Gay Games in Paris, and coming away with six from October’s Youth Olympics in Buenos Aires. 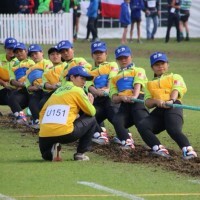 The President also added that tug-of-war is always a test of team spirit and the ability of a group of people to work and practice together, unite under a common goal, and face success or failure hand-in-hand. 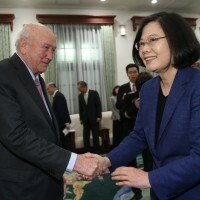 She expressed hope that the international community could recognize Taiwan’s ability to do this, and that the country’s sporting achievements can continue to make its name heard. 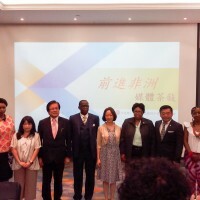 Taiwan competed at the event under the name Chinese Taipei, but that could be set to change soon depending on the results of this month’s “Team Taiwan” referendum, and the will of such international event organizers to fend off Chinese pressure. While a positive referendum result may spur Taiwanese sports teams to be more forceful in their drive to compete under the name Team Taiwan, it is no guarantee sports committees will allow it, as some of the most major ones still easily succumb to political pressure.